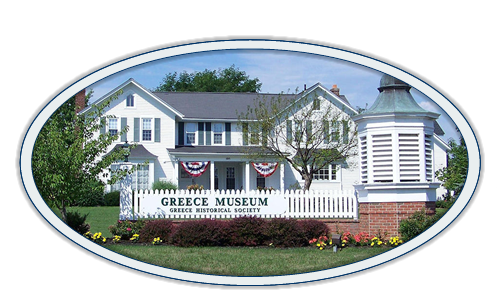 The Society welcomes people who would like to provide their time and talent to help share Greece history with its residents and others. The information below lists some of the areas where you could help. If you would like to explore these or other opportunities, please call (585) 225-7221. Guide visitors through the exhibits on Sunday afternoons from 1:30 to 4:00 p.m., on special occasions, and by appointment. Tell them a bit about the history of the house. When built, who lived here, etc. Point out photos in dining room and the Gordon Howe exhibit. Direct visitors to the museum wing, Newcomb Hall. Act as clerk in the gift shop during scheduled hours and special events. If appointed by the President, purchase merchandise and manage clerk schedule. Review each item donated. If the item is pertinent to our collection, is in fairly good condition, and can be preserved, the item is accepted into the collection. Periodically, review accessioned items to see if they should be de-accessioned and removed from the collection, either because the item has deteriorated or broken, or because it no longer fits the Society’s mission. Seek articles needed for the collection. Maintain records for collection items on PastPerfect museum software. Record pertinent information about an item, assigning an accession number, after it is approved by the Accession Committee. Remove items that have been approved for de-accessioning. Repair, move, or retrieve stored items to be used in an exhibit and use archival materials to properly store artifacts and archives. Identify potential topics for exhibits. Select photos, maps, news articles about the subject of exhibits. Research information to be used in exhibits. Plan exhibit layout and traffic pattern. Install the exhibit and, when it is time, take the exhibit down and store it. Arrange for educational programs for our monthly series, Sunday afternoon series, or other occasions. Participate in completing program-related activities, such as setting up and taking down necessary equipment or tables/chairs and coordinating publicity to ensure community awareness. Work with elementary teachers, the director of social studies of Greece Central Schools, home school teachers, private schools, and scout groups to identify, develop, and communicate education topics. 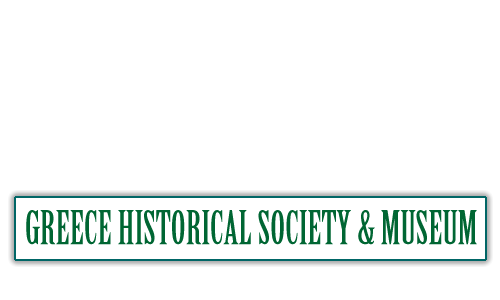 Assist with local history curriculum as requested. Plan and present in-class programs for students who will be visiting our museum. Give guided tours to students. Assist in planning hands-on activities to enhance the learning experience. Give guided tours to scout groups who are working on earning merit badges or awards. Publish written materials as a follow-up to their museum visit. Plan programs for the community, such as Native American Day. Maintain files of the Society’s correspondence and reports. Answer telephone, distribute mail, make copies, and generate letters as needed. Assist with computer and other technology issues. Record payments of member dues and maintain membership roll. Send new members information about the Society and volunteer opportunities. Provide a membership information table at program meetings and special events. Send reminders to members who are past due. Plan and execute fundraising activities to support achievement of our mission. Identify and explore new and interesting ways to raise the funds we need. Prepare accounts payable, monthly financial reports for the Board of Trustees and an annual report to the membership. Prepare 990N tax return and NYS annual sales tax return. Assist in budget preparation and presentation to the Board for approval. Make financial records available to the audit committee and endowment fund trustees. Generate monthly P/L statements, Balance Sheet, YTD figures, and a comparison over the previous year report for the treasurer. Prepare deposits and take to the bank. Prepare and monitor operating budget. Advise the Board of Trustees about budget challenges and opportunities. Make necessary repairs to the dwelling or arrange for them. Trim around the flower beds and walks, prunes shrubs, etc. ; remove snow from walk ways.